"We were in Study Hall, when the Headmaster entered, followed by a new boy dressed in regular clothes and a school servant carrying a large desk." 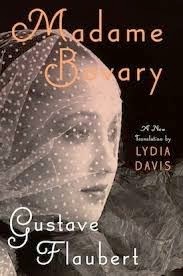 Soon after Emma returns to her father's house, she meets the doctor, Charles Bovary, and imagines the feelings of emotion she experiences under his regard, love. When the first wife of Charles passes away, Emma is happy to become his wife, yet almost immediately begins to wonder why the passionate, overwhelming feelings of a romantic love seem to elude her. Quite soon she seeks admiration and passion outside her marital relationship, first with Leon Dupuis, a law clerk, and then with the sophisticated Rodolphe Boulanger. Drawn into a web of deceit by her need for a story-like romance, Emma begins an affair, first with Rodolphe and later with a more worldly Leon, who has now spent years in the city and knows how to conduct himself like a truly indulged and hardened man-about-town. Neither man truly cares for her. Each is attracted by her beauty and her passionate regard for him, yet soon these shallow emotions begin to unravel and the men tire of their paramour. Emma, now heavily in debt and still lacking the love and desire that she equates with a meaningful life, decides to take poison and her death culminates in the tragic death of Charles and the sentencing of her daughter to a life of poverty and toil. And so, what can we say about Emma? She is certainly not a sympathetic character and it seems rather apparent that Flaubert didn't mean to make her one. How is responsible is she for her fate? Does she perpetrate her own demise or is she an unwilling victim of circumstances? One could certainly make excuses for Emma and say that she was trapped, not only in a simple, colourless and rigid society, but in a loveless marriage (on her part), and in a situation where she had little opportunity for following anything other than the status-quo. However, Emma had been given an education of a type through the nuns, and though it might not have been wide in its scope, it certainly should have taught her the importance of honesty and virtue and goodness. Emma chooses to sneak sentimental romances into the abbey to read, just as she chooses to believe what she reads should be the way of life, in spite of the evidence in front of her face against it, and she chooses to have adulterous affairs at the risk of the ruin of her reputation and that of her husband's. She also chooses to borrow money, placing her family heavily in debt and, the means of borrowing the money are brought about with deceit on her part to keep her actions hidden. So I don't really buy the "poor Emma Bovary, she is a victim of circumstance" excuse. She keeps her illicit relationships secret, as well as the fact that she is borrowing money, and by the very fact that she does these things covertly, she MUST know that these actions are wrong. Instead she chooses to do them anyway, for her own selfish emotional gratification and, as we see, she reaps consequences that were perhaps beyond her scope of imagining. I didn't dislike this book, but when I read I like to find something that stirs an emotional or an intellectual response, which is part of the conversation with the author. With Flaubert, while there were certainly moments that sparkled, overall I was left a little flat. The whole plot was built around a shallow, vain, deluded young girl who was supposedly corrupted early in life by her choice of reading. 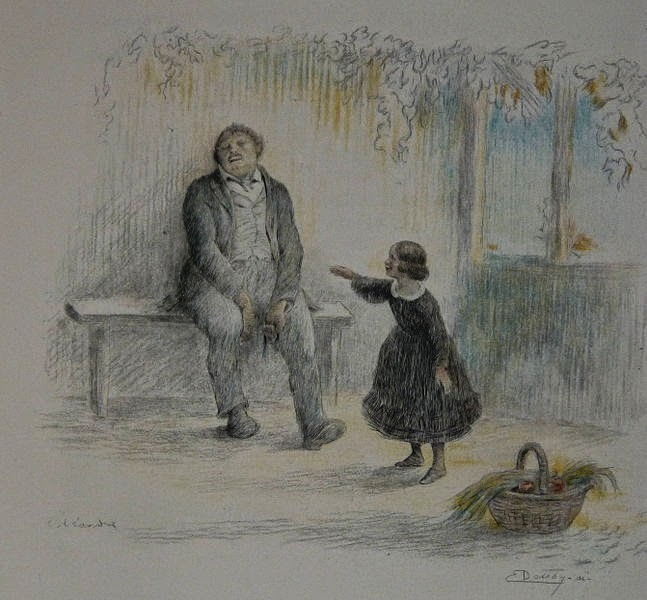 No one noticed and, judging by the manner in which Flaubert portrays the setting and characters, even if they did, they perhaps would have done nothing to enlighten her. While I wanted to pity Emma and make excuses for her, there was something fundamentally wrong with her thinking and the mechanisms she used to process life and the world around her. Was it due to her reading material, or was she already a damaged person and the books only served to increase the self-serving, emotional fantasy-life that was already expanding within her? I don't think we can know. For me it would have been infinitely more interesting if Flaubert chose to investigate this issue but instead we only see the effect of her delusions without being able to truly surmise the cause. And that is a tragedy because Emma Bovary deserved a story that generated compassion for her and not distaste and impatience at her emotionally bankrupt behaviour and dramatic actions. In spite of some spots of brilliance, I feel Flaubert missed a great opportunity and, once again, Emma seems to be the one that pays for it.